The Alienware Aurora R3 comes with an Intel P67 MicroATX motherboard which supports up to 16gb of Dual channel ram via 4 slots. This motherboard supports 240 pin 1.5v ram. Timings can vary. It is best to buy ram for this computer in Dual or Quad channel kits(A Quad channel kit is the same as two dual channel kits). You should always install matching pairs in the appropriate slots. You should always populate slots 1 and 3 and then slots 2 and 4. 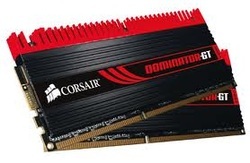 Name brands such as Corsair, G.Skill, Kingston, Patriot and crucial are recommended. Though one brand will not differ from another in speed. 1333mhz is 1333mhz and 1600mhz is 1600mhz regardless of brand. 1333mhz: The P67 can support 16gb. PC10600, PC10660 and PC10666 are the designations given to 1333mhz ram. Regardless of which you choose the speed is 10.6gb/s and it's frequency is 1333mhz. 1600mhz: The P67 can support 16gb. PC12800 is the designation given to 1600mhz ram. It's speed is 12.8gb/s and it's frequency is 1600mhz. 1866mhz: The P67 can support 8gb. PC14900 and PC15000 is the designation given to 1866mhz ram. It's speed is 14.9gb/s and 15gb/s respectively. It's frequency is 1866mhz. NOTE: Newer high performance P67 motherboards can support 32gb of dual channel ram via 8gb modules, but since this is not listed on the Alienware site, I will list only 16gb max. This is what Alienware currently supports. Since Early versions of the P67 only supported 16gb, you will have to research your model number on your motherboard to see what yours supports.